The Finland-based, licenced equity and debt crowdfunding platform Invesdor has raised a million euro crowdfunding round through its own service. 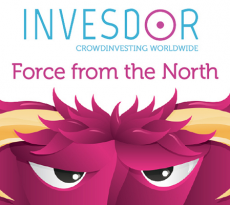 Invesdor is using the funding and its EU licence to expand into other European markets. 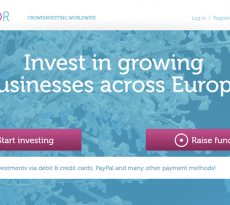 “There are currently no truly cross-border platforms in the European crowdfunding market. We aim to be the number one source of European cross-border deal flow for investors around the world”, states co-founder and CEO Lasse Mäkelä. For this purpose, the Helsinki-based equity and debt crowdfunding service Invesdor raised a million euro crowdfunding round through its own service. The round had 143 investors from 16 different countries. Mäkelä, an ex-Merrill Lynch investment banker, sees crowdfunding as a fairly straightforward digitalisation of the tried-and-true fundraising process. “We have simply removed inefficiencies from the old process and made the deals more transparent, efficient and accessible to the public”, says Mäkelä. “The one major element in the crowdfunding model, and fintech in general, is understanding the regulation. It is a hurdle we are confident we have crossed”, Mäkelä continues. 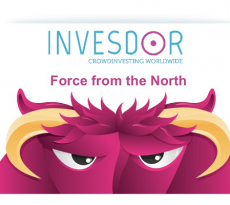 The transaction sizes in North European equity crowdfunding have spiked since the Finnish financial supervisory authority made equity crowdfunding a regulated activity and granted Invesdor the first operating licence. Invesdor is the first European crowdfunding platform to have been granted a MiFID licence for investment advice, reception and transmission of orders, and placing of financial instruments. The breadth of the licence will make it possible for Invesdor to not only accept investments from international investors but also to organize funding rounds for companies from anywhere in the EEA. Invesdor is currently conducting the necessary notifications and creating country-specific due diligence processes. “Regulation brings trust. The licence has definitely helped us in our home market, and we are confident that we can also build our international competitive advantage in balance with sustainable compliance. Compliance shouldn’t hinder innovation, and we believe we have the know-how to make it work”, says Mäkelä. Since Invesdor’s licence was granted, two million-euro offerings have been organised on the platform: one by Finnish self-storage company Cityvarasto that is aiming to list on the Nasdaq OMX First North, and one by Invesdor itself. Invesdor was also one of the subscription platforms in logistics group Ahola Transport’s recent IPO onto the Swedish Aktietorget marketplace. “We see crowdfunding expanding from startups closer towards the traditional public markets. As crowdfunding platforms become accepted subscription places for any fundraising processes, they will converge with traditional investment services”, comments Tero Weckroth, Chairman of the Board at Invesdor, and board member of the European Crowdfunding Network. “It can be argued that crowdfunding simply means making the old models more efficient by using the Internet. We have already seen evidence of this transition happening in our home markets”, he adds. TowerJazz reached a $35M deal with Semiconductor Laboratory!